Not every Hollywood couple begins their engagement with a big ring. Sometimes they get the jewelry later. I was reminded of this recently when Emily Ratajkowski acquired her sparkler some four months after getting hitched. 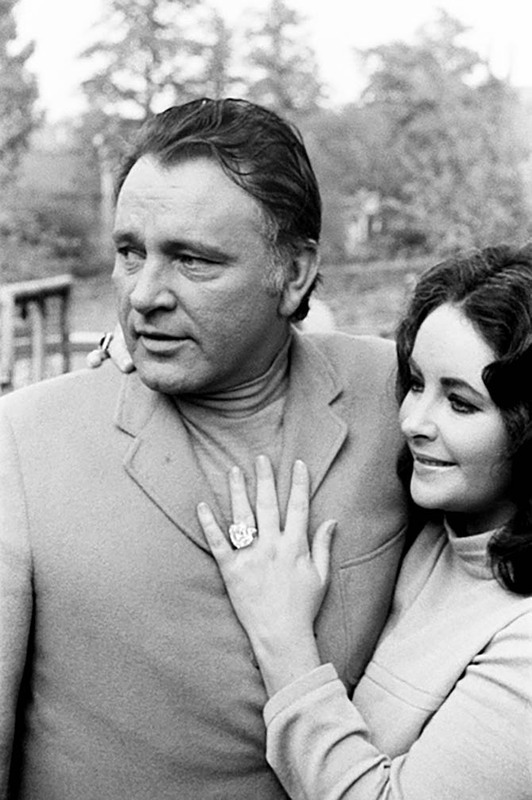 Another couple you might be shocked to learn who did not begin their engagement with a ring was Richard Burton and Elizabeth Taylor. There was, however, some major sort of promise jewelry. Let me explain. In the face of this kind of scrutiny from the press, it’s astonishing the couple could do any private jewelry shopping at all. Yet they did go to Bulgari and it went completely unreported. Richard and Elizabeth escaped photographers by entering and exiting the Via Condotti boutique through a secret door, which led to an enclosed courtyard where they would park their car and drive away without being seen. So, what did they buy at Bulgari? Burton went big straight out of the gate. The couple worked with the dashing Gianni Bulgari in the private space, Elizabeth referred to as the “money room” in her book My Love Affair With Jewelry. 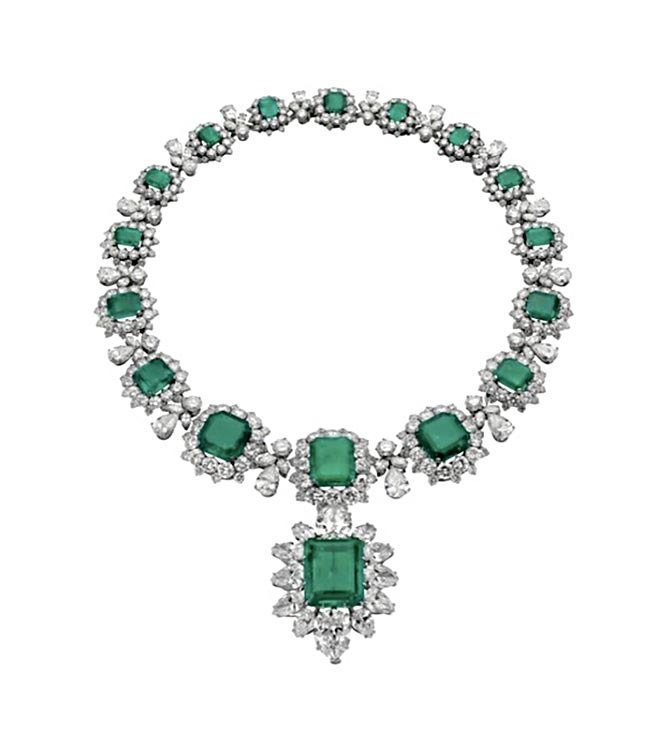 In the sanctum sactorum, they found an emerald and diamond necklace with a detachable pendant-brooch that was a textbook example of sixties High Jewelry style. The piece featured 16 rectangular-cut and square-cut graduated emeralds. Each gem was surrounded by circular, marquise and pear shape diamonds. 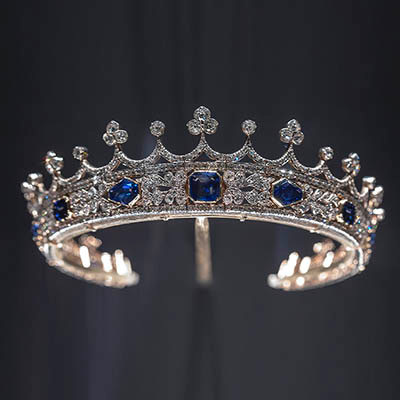 The pendant-brooch that could be worn with the necklace was epic and possibly the biggest jewel to be added to Elizabeth’s already substantial collection at the time. It was set with an 18-carat rectangular cut Columbian emerald and surrounded by 12 pear shape diamonds. 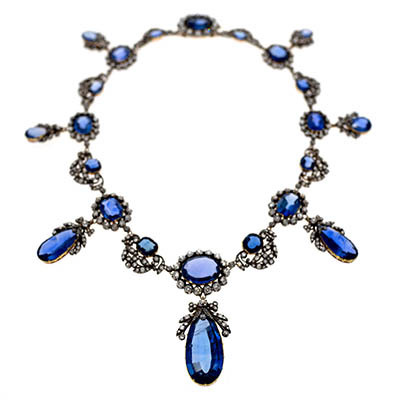 When this piece was sold at auction with Elizabeth Taylor’s estate in 2011, it went for an astonishing $6,578,500. The price set a world auction record for an emerald jewel and price per carat of an emerald at $280,000 per carat. In her book, Elizabeth Taylor sort of skates over the story of the acquisition of the brooch and necklace and makes it sound as though they were acquired at the same time. The fact seems to be she received the brooch when the couple was in Rome. It is universally considered her engagement brooch. And she wore it perpetually during the period including in The V.I.P.s, the 1963 film the couple made after Cleopatra. 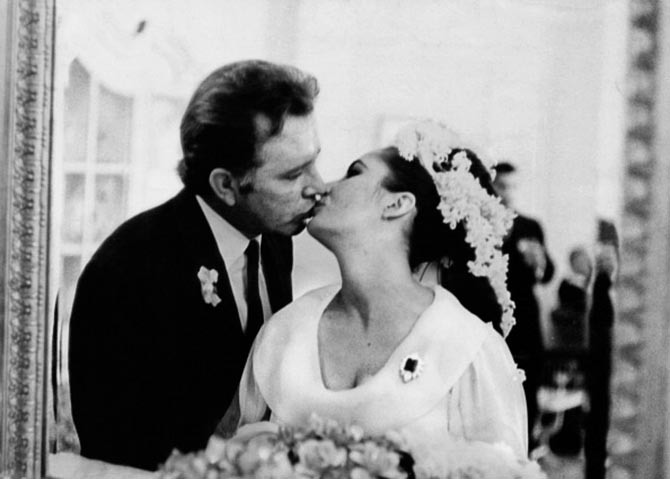 Two years after falling in love, Richard and Elizabeth were finally married on March 15, 1964 in Montreal. 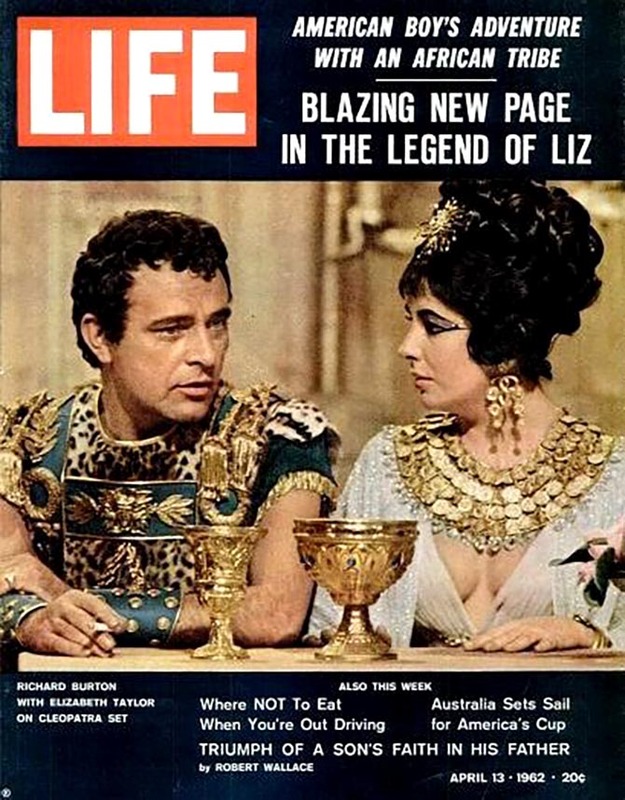 For the ceremony Elizabeth wore the pendant-brooch with a daffodil-yellow chiffon dress made by Irene Sharaff, the costume designer of Cleopatra. The bright color was an arresting frame for the dazzling green of the engagement brooch. As a wedding present Richard gave his bride the necklace they had seen two years earlier in Rome. He also gave her a diamond and gold wedding band. 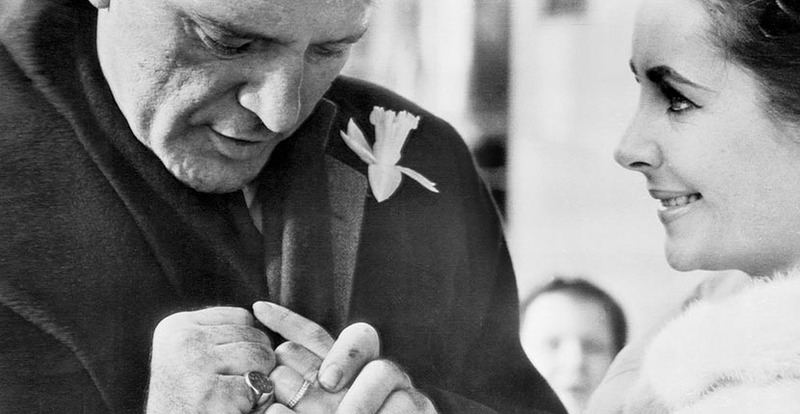 It wasn’t until around the time of their fourth wedding anniversary that Richard gave Elizabeth a diamond she wore as an engagement ring on the third finger of her left hand. On May 16, 1968 though intermediaries, Richard went into a bidding war at the Parke-Bernet Galleries in New York with none other than Harry Winston, the man himself, for the extraordinary 33.19-carat Krupp diamond ring. Considered one of the most perfect diamonds in the world, the gem has a heavy table with perfectly cut and proportioned facets that beam brilliance and display a rich inner life. Technically, it has been certified as a D-color, Potentially Flawless gem. 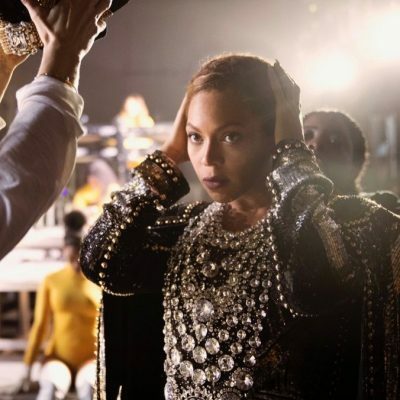 The official reason for the gift given to the press at the time was that it celebrated one of the couple’s commercial ventures, the Harlech television stations in Bristol, England. 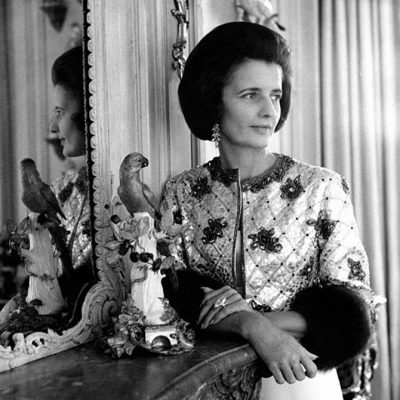 Burton had purchased the piece at auction two days before they made the announcement about their new business when she first wore the jewel. Almost immediately the diamond became one of Elizabeth’s signature jewels. When she and Burton were divorced, she wore it on her right hand and it remained there throughout her life. 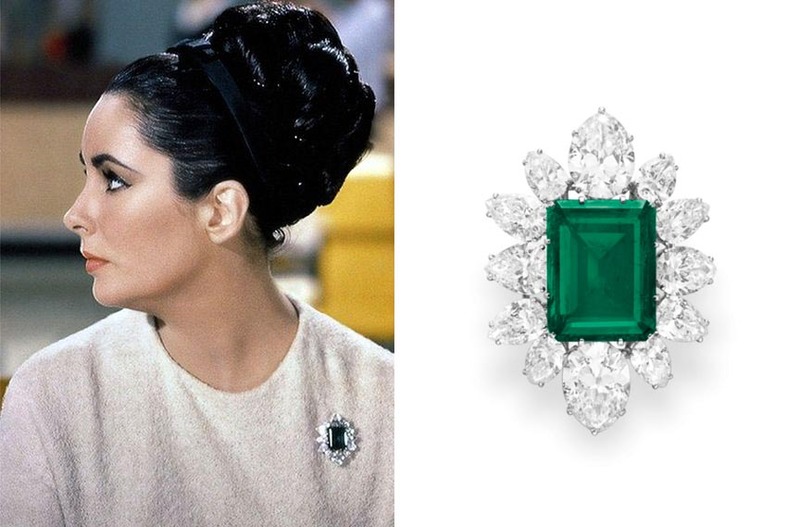 Christie’s renamed the gem the Elizabeth Taylor Diamond when it went on the auction block in 2011. It sold for $8,818,500. The price set a world record for colorless diamonds at auction.